I have read Higurashi and Rose gun days, currently in ep 8 of umineko (which I have enjoyed the most) And thank you so much! Hello, glad to have found this website. I go by Pliskin in the interwebs but I also go by John. I live in NYC and I’m a high school graduate. 07th Expansion works I’ve seen/read are The Umineko VN, Manga, and Anime. Higurashi Manga/Anime, and currently reading Rose Gun Days. I’m mostly an Umineko Fan over Higurashi (both are great in their own ways) I initially watched the Umineko anime and enjoyed it, but I knew it was incomplete and inaccurate so I bought the imported copies and downloaded the Witch Hunt patch 3 years ago. Umineko is probably one of my favorite stories as well. That’d be great! By the way, is there a post for WTC 5 and its possibilities? Hello there, Pliskin, you seem like quite an interesting person and from what you say you’ve read from 07th Expansion, you must be pretty well-versed when it comes to it, so I’m certain we all can have a lot of in-depth discussions with you. Hmm, I don’t share most of your hobbies regarding gaming, though most here do and I’m the poor little one left out, so you can talk quite a bit about that here and on our Discord chat, too. Though you do seem to like film, so I may have found something we have in common here, so say, what are your favourite kinds of films? Also, you’re from NYC, too, same as me and Pandora, though I am Greek and am here just for my university studies. Anyhow, I hope you have a good time in the forums! I’m sure U4ea will be here soon with lots of help regarding the navigation of the forums, too. Edit: Here is the single discussion thread about it, thus far. Thanks! I want to read others like Higanbana and other Ryukishi works when they come back. Sadly though, the language barrier is a problem for me to access VN, which is why I want to take classes in University. As of films, I grew up with 80s action adventure films, though some of my favorites are Eternal Sunshine of the Spotless Mind, Blade Runner, Die Hard, No Country for Old Men, Unbreakable, LotR trilogy. I have more but I forget sometimes lol. Also, it’s cool that you’re in NYC. As of now, I’m staying in NJ for a while. Btw, I have a question about the discord and the approval. Was I kicked until I get the approval? Just wondering if that’s the case. Ah, I’m not really into action adventure and I haven’t watched most of the titles you mentioned, so we may not be able to talk much about film, after all, but you seem to like contemporary titles too, so maybe we can talk about that. I’m sure U4ea will be here soon with lots of help regarding the navigation of the forums, too. For love and justice, I am the pretty sailor-suited soldier Sailor Moon! In the name of the moon, I will punish you! This won’t make any sense if I change my profile pic in the future. Welcome to Rokkenjima, @SleepingPliskin! You should absolutely join the discussion here! The best way to join is to jump onto our current tea party, Someutsushi! All the theories discussed there will be made into the cute little podcasts (which you can help host) that you found us through. You seem really well versed in both Higurashi and Umineko, so you’d probably best enjoy the spoiler sections! However, if you don’t want to talk spoiler talk, there are spoiler free threads too. There are also places to talk about Rose Guns Days, Higanbana (which has an English patch btw), Hotarubi, and TRianThology. Also I just want to answer the Discord question just to avoid any confusion. We would like you to reach “Witch” rank here on the forum first before joining the Discord. You can earn “Witch” by posting a bunch, liking things, and having people like your stuff! Sadly, you will not be able to join the Discord before earning it, so that’s why you were kicked out at the moment. But don’t worry, as I’m sure you’ll get “Witch” in no time (seriously, if I remember correctly it takes like a week at max). Once you do, you are free to chat with us on Discord as well as the forum! 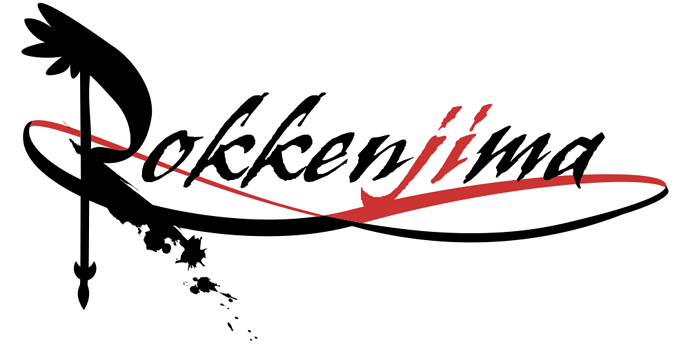 Sorry if it’s a bit confusing, but we do this so that there the focus of Rokkenjima remains on the forum. Anyway, I really hope you enjoy it here! Just don’t go and microwave any bananas, ok?